Thanks in part to a much-discussed missed call and some overtime rules that are in desperate need of an update, it’s been decided: The Los Angeles Rams and the New England Patriots will face off in Super Bowl LIII on Sunday, February 3 at 3:30pm PT. No matter how you feel about the teams that made it in, it’s always fun to get together with a group of friends or family and watch the action on the field … or the commercials, if that’s more your speed. If you want to make the most of the excitement (and not have to worry about people spilling beer all over your sofa), here are nine of the city’s best sports bars — including a Pats bar and a Rams bar where things are sure to get crazy — as well as a couple of fun events for Super Bowl Sunday. 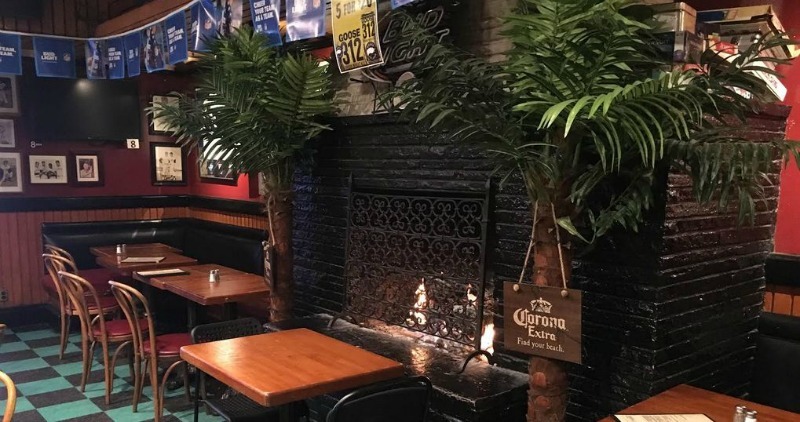 Blackthorn Tavern has pretty much everything you could need in a sports bar: ample seating (including a couple of comfy booths), 20 HDTVs, two sound zones, 14 beers on draft, a full bar (with “the best Bloody Marys in the neighborhood”), and a back patio. There isn’t a kitchen, but you’re welcome to order food in or have it delivered to the bar. 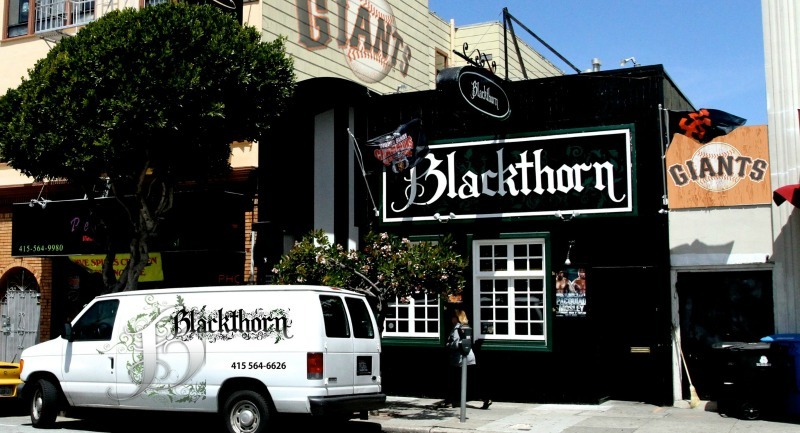 Blackthorn is also giving away authentic Guinness glasses for those who buy a pint of the Irish stout on Super Bowl Sunday. Supplies are limited. Rams fans call this North Beach sports bar home on NFL Sundays. The bar recently moved across the street to the old Capp’s location, so now there’s room for even more people who want to watch Jared Goff attempt to lead his team to victory. There are 10 TVs, 20 beers on tap, a good Bloody Mary, and a menu of your typical bar food: tots, cheese sticks, nachos, wings, as well as a couple of burgers and sandwiches. 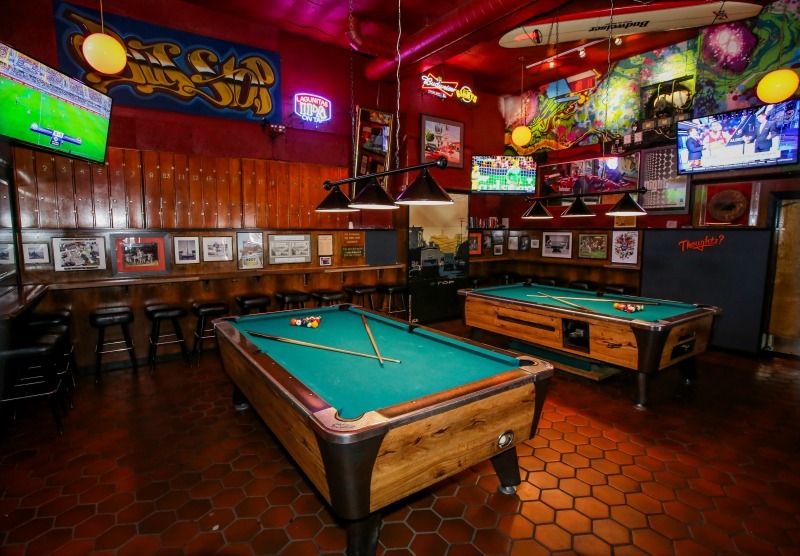 This old-school sports bar (seriously, it’s been around for 100 years) has 26 TVs spread across two rooms, and is always full of fun and boisterous groups during any big game. 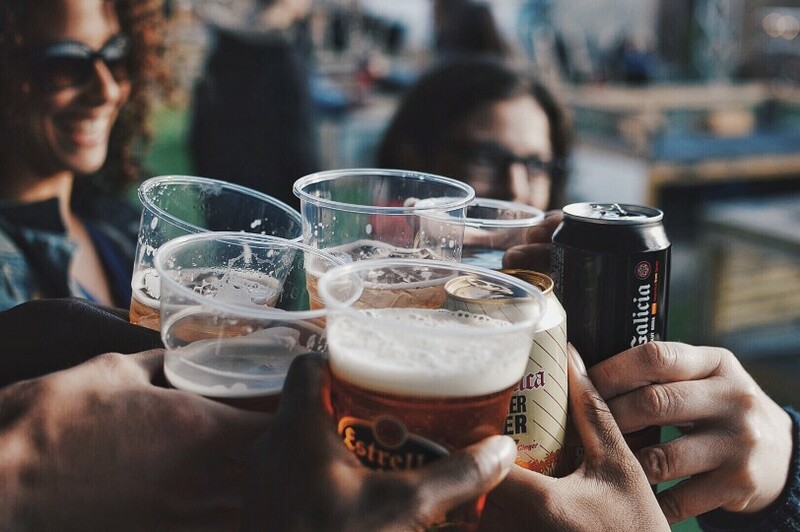 The specials on Super Bowl Sunday may vary, but most Sundays, you can get a bucket of Bud or Bud Light for $22 (five beers), $6 El Espolòn tequila, and $7.50 Tito’s drinks. The Bus Stop doesn’t have food, but you can bring it in from outside (La Boulangerie and The Italian Homemade Company are both right next door). If you’re a Patriots fan living in San Francisco, you likely already know about this Boston bar in Potrero Hill. Needless to say, this place will be lit on Super Bowl Sunday and you’ll need to get there right when it opens to find a spot to sit. There are seven TVs, a patio if you need some fresh air, and a menu that includes a Yankee Burger and New England clam chowder (of course). Greens is pretty much your quintessential SF sports bar. From the clientele (a rowdier Marina/Russian Hill set) to the paraphernalia (lots of it, all over the walls) to the service (fast and friendly), you get what you see, including 20 TVs and a space that fills up fast. You also get what you don’t see in the form of great drink specials. There’s no kitchen, but you can bring in outside food. This Mid-Market sports bar brings it on game day, and Super Bowl Sunday will be no exception. There are 17 screens, which means there’s not a bad seat in the house. Plus, during the game there will be happy hour drink specials (($6 Jameson, $6 well drinks, $6 house red and white wine, $4 Modelo)) and a special tailgate-themed menu with tasty items like a BBQ bacon cheeseburger, housemade chili, loaded hot dogs, and nachos. Best of all? You can reserve a table so you don’t have to worry about not getting a seat! Hi-Tops is SF’s first (and only, which is ridiculous) gay sports bar, but it’s worth going to for more reasons than its amazing tagline (“cold pitchers, hot catchers”). It also has 26 TVs, lots of places to sit, and bartenders who are on top of their game. The food is also some of the best you’ll find at a sports bar, assuming you like house-made corn dogs, wings, and fried chicken sandwiches. Kezar is often described as a 49ers bar because it’s across the street from their old stadium, but just FYI: It’s not. Or at least it’s not when the Eagles are playing because the Philadelphia fans take over the front room and sing very loudly after every touchdown, and it’s really more than any self-respecting Niners fan could be asked to handle. 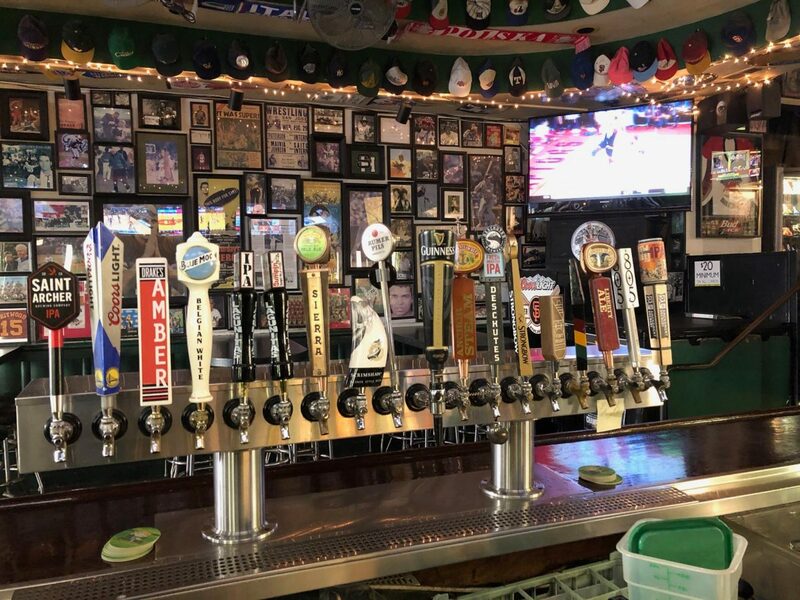 The good news is that the Eagles aren’t in the Super Bowl this year, so anyone will feel at home at this enormous (for SF) two-room sports bar with 20 TVs, 20 beers on tap, a full bar, and an extensive food menu. 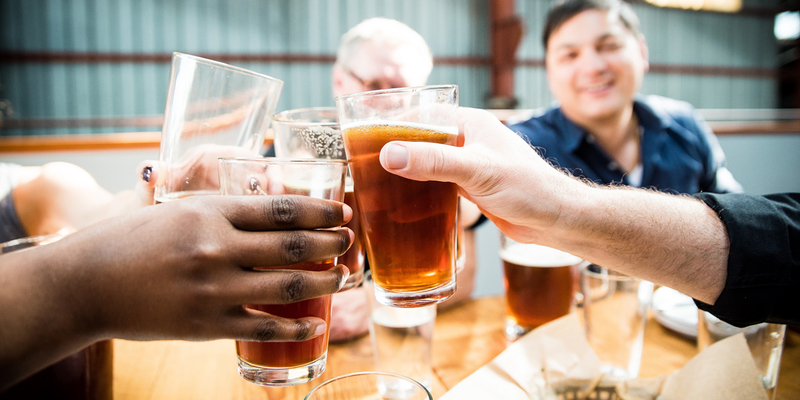 Like every bar on this list, you should get there early if you want to guarantee yourself a spot. SFAC has 27 TVs and nine sound zones, so there truly is not a bad seat in the house. That being said, those features make this a popular spot to watch pretty much any game, which means it’ll be extra crazy on Super Bowl Sunday, so get there early if you want to snag a place to sit down for the duration. Pass the time until the game starts by drinking one of 12 beers on tap (there are another 20+ by the can or bottle), sipping on a cocktail from the full bar, or enjoying five flavors of wings, five kinds of hot dogs, seven different burgers and sandwiches, all of the bar food staples you could ever want, and even a couple of salads. Basically, every bar and restaurant with a television in San Francisco will show the game, and most will probably also have on the sound, but here are a few spots that are upping their game with a little something extra, including your chance to guarantee a seat. What: There really isn’t a bad seat in the house at this Union Square sports bar that has seven HDTVs and a big screen projector. Why: An all-you-can-eat buffet (wings, pizza, sliders, mac ‘n’ cheese, and more), a raffle, and drink specials. What: Watch the game on the 50-foot movie theater-sized screen and two 20-foot projector screens at this enormous video game arcade inside of a historic theater. There are tons of beer on tap and a full bar, and though there isn’t a kitchen, you’re welcome to bring in your own food. Why: You can reserve seats, booths, and tables, so you’re guaranteed to have a place to settle in for the duration. What: All you can eat and drink at the Mission outpost of this beloved sausage restaurant. Choose between three of their most popular sausages, toppings, and sides, and drink beer from Oskar Blues. Why: Twenty percent of ticket sales will be donated to help families affected by the Camp Fire. What: The Mission location of this local Mexican chain is showing the game in its private room, complete with two TVs and a dedicated bar. There is also a special game-day menu with drink and food specials. Why: You can reserve a seat and it’s family-friendly. Want to find the best things to do in San Francisco? Check out our weekly updated event calendar!